Wife of Edo State Governor, Mrs. Betsy Obaseki says the renewal of Nigeria under the present dispensation will begin with Edo, adding that the new thing that God is doing to bring about change, good governance and prosperity in Nigeria will start in Edo State. She said Edo will be the centre of developmental activities in Nigeria. According to her, “This is the end of the year and we are about to enter a new year by the grace of God. I want to share with you a glimpse of what I know that will happen in this state from now on. God has proposed to do great things in Edo State. God in his own wisdom has chosen to visit Edo State and to do great things in this state. 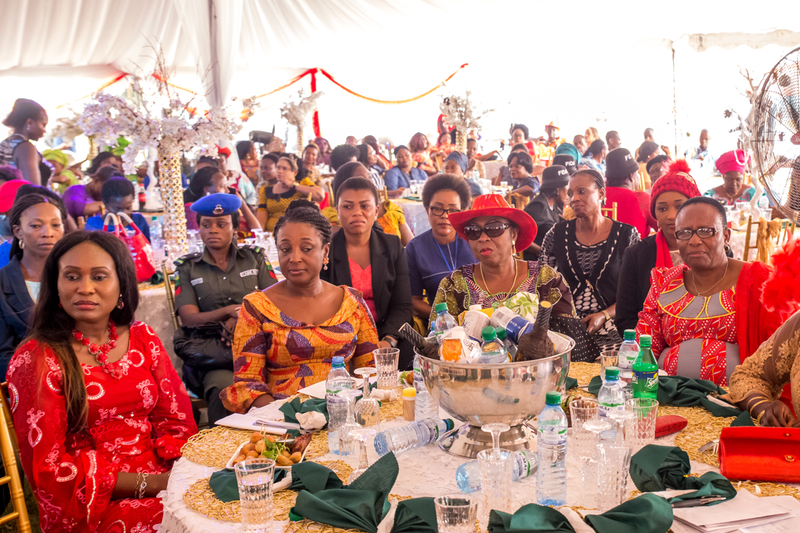 Mrs. Obaseki thanked the women for their support for her husband during the gubernatorial election, “I appreciate every one of you. If you hadn’t been here and done your work, especially the party leaders, my husband and I would not be in Osadebe Avenue today. She continued, “And my husband also said it, and I am glad he said it, and I also recognize it. We didn’t come into governance here only by the grace of APC members, because we found out that in the course of the election, many people voted for the APC candidate who are not APC members. And so, this is also to say, thank you to those of you. Our party members also appreciate the fact that at this stage in our work, we are not partisan. And so, we are open to everyone.